Kathryn Carlson Heler, of Wilbraham, Mass., formerly of North Manchester and Roann, Ind., died April 3, 2015, of cancer at Massachusetts General Hospital in Boston. She was 68. 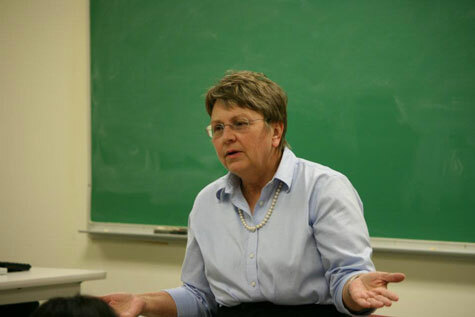 She taught at Manchester University from 1997 to 2007 before moving on to become a professor of nonprofit business studies and director of the MBA program at Springfield College in Springfield, Mass. She is survived by her husband, Edward Heler, two children and four grandchildren. A dedicated educator and mentor, she was an active volunteer and consultant to a number of nonprofit organizations. In lieu of flowers, memorial donations may be made to the Massachusetts General Hospital’s Termeer Center for Targeted Therapies.